Protect your home and increase property value with concrete repair and leveling. Here at A-1 Concrete Leveling and Foundation Repair, we’re committed to helping our clients in the Nashville area with their homes — and this often comes down to concrete leveling. 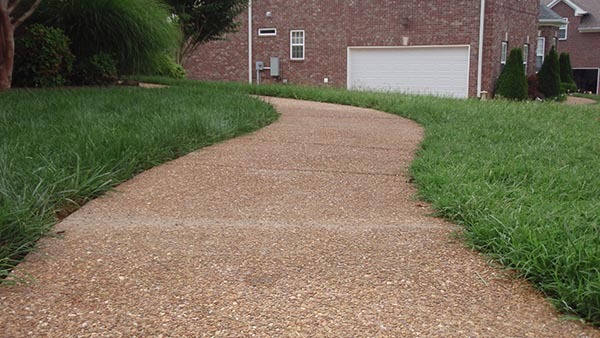 From your sidewalk to your garage floor, patio, pool deck, and more, concrete repair can make all the difference. 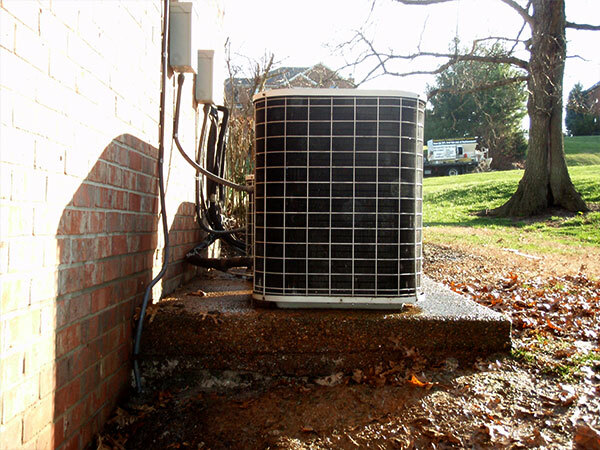 Learn more about our process here, and then contact us today for a free estimate. As you probably know, the name of our company is A-1 Concrete Leveling and Foundation Repair. And although it’s not in our name, we’re also the concrete repair specialists you can count on when you encounter a problem with your concrete. There’s nothing worse than seeing a crack slowly developing in your sidewalk, driveway, or garage floor. Fortunately for you, our team of experts can help to make your issue a thing of the past! Perhaps you’ve considered having your old concrete removed and new concrete poured. That’s one option, sure, but the truth of the matter is that we can often accomplish the same results for a fraction of the price you’d pay to pour new concrete. The process we utilize is much faster and it can return your concrete to its original position easily, saving you time, money, and headaches in the process. At the end of the day, that’s a win/win situation. How Does Concrete Repair and Leveling Work? 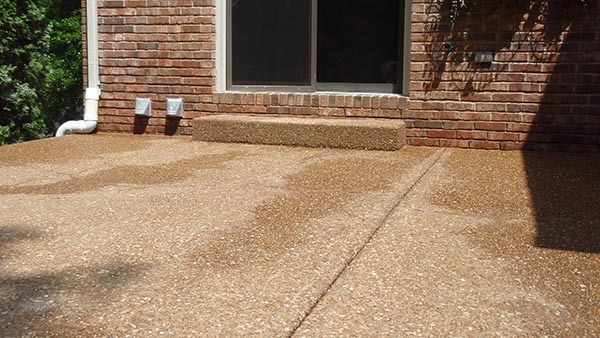 The idea of repairing your concrete can seem like foreign concept if you’ve never heard about it before, but our team of experts is here to make it easy to understand. To put it simply, what we do is drill a small hole in a strategically chosen location. Next, we pump a special mixture into those holes; this causes the block in question to rise. We have this step down to a science and our care and attention to detail means that we can raise the area in question to the perfect position. Once that’s all taken care of, we seal the holes with a non-shrinking grout and you’re left with a section of concrete that looks practically new. It really doesn’t get much better than that. Perhaps best of all is the fact that the pumping compound we use is environmentally friendly so you don’t have to worry about any adverse effects down the line. Small holes, only a single inch in diameter, are drilled into the sunken concrete block at strategic locations. Environmentally friendly slurry is made primarily from a limestone aggregate concrete mixture and water then pumped into the holes. Any voids created by erosion or soil compaction will be filled by the slurry, and the block will begin to rise. While the slurry flows under the slab, it will exert even pressure on the slab while it rises. Due to the placement of the drilled holes and careful application of the slurry injected into each hole, the block can be precisely raised to its final position. The holes are filled with a non-shrinking grout. It traps the slurry below to solidify and leaves the surface of the block looking virtually new. At A-1 Concrete Leveling, we’ve perfected the process of returning concrete to its initial level position, and we’re able to do it in a way that’s far faster and much less expensive than removing old concrete and pouring brand-new concrete. 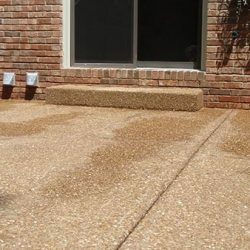 This process can be 80% less expensive than new concrete replacement, and it works beautifully on walkways, floors, driveways, patios, virtually any concrete surface you can name. 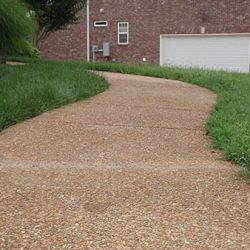 The concrete repair process can be 80% less expensive than new concrete replacement, and it works beautifully on walkways, floors, driveways, patios, and virtually any concrete surface you can name. Rather than having to rely on someone to come out, rip out your old concrete, and pour a new slab into place, you can rely on the team at A-1 Concrete Leveling and Foundation Repair to get the job done much more quickly and save you quite a bit of cash in the process. Take a look at the video below to see exactly how it’s done. What you’ll find is that the entire procedure is quick and efficient, saving you time and money. As we mentioned above, you can save as much as 80% compared to pouring new concrete and get the same–or better–results. 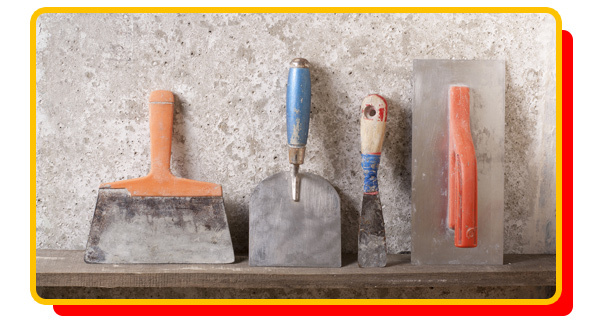 At A-1 Concrete Leveling and Foundation Repair, we’re proud to say that we take advantage of all natural products. We mentioned it above, but we utilize an environmentally friendly slurry to fill the gap underneath your concrete and help to level things out. Why do we do it that way, you ask? It’s a great question and we’ve written extensively about the A-1 process vs. foam that other companies tend to use. Here’s the simplified version: there are a number of benefits to using limestone. For one, it’s an all-natural product that won’t cause any damage to the rest of your property. It’s also useful because it doesn’t add any weight to the base which is often the main cause for further sinking. The real kicker, however, is that it spreads much better than the polyurethane foam that many other companies use. 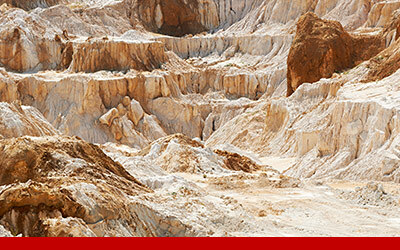 Limestone flows well which means that you don’t end up with an uneven fill level and more problems down the road. In short, we use the materials that we have chosen because they’re the best. It’s as simple as that. As we mentioned above, you can read about more of the benefits of using limestone, but at the end of the day, our goal is always to provide our customers with the best product. When we undertake concrete repair on your home or business, we want the work we do to stand the test of time. It’s this principle that drives every decision that we make. We’re constantly striving to provide our customers with the best value for their money and we think that we have come up with the perfect solution–one that’s meant to last. Curb appeal matters. It’s why we love watching home improvement shows and seeing how other people decorate the exterior of their homes. Because your driveway contributes to the curb appeal of your home, the way it looks is vitally important. Soil erosion, burrowing animals, and freezing water can all cause your driveway to crack, however, and a driveway that it cracked or uneven isn’t something any homeowner wants to deal with. Regardless of the reason that you’re in need of concrete driveway repair, you can count on our team of experts to get the job done the right way. In many instances, the work that needs to be done can be completed within the timespan of a single day. It doesn’t get any better than that! Whether you realize it or not, people are likely using your sidewalk every single day. Perhaps it’s someone out delivering the mail. Maybe it’s one of your neighbors out for her morning jog. It could even be a child from your community out exploring the neighborhood on a bicycle. It makes sense then that you’d want to deal with any issues that are present to keep those people out of harm’s way. People can trip and fall, causing big problems for everyone involved. At the end of the day, repairing your sidewalk is in your best interest. The good news is that many such projects can be completed in a single day. 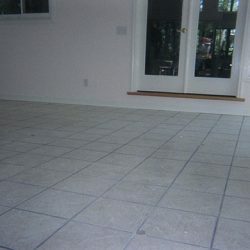 There’s a good chance that the floor in your basement is made up of concrete. Your garage probably has a concrete floor as well. Over time, your foundation might start to settle and you end up with cracks, or worse, an uneven floor. 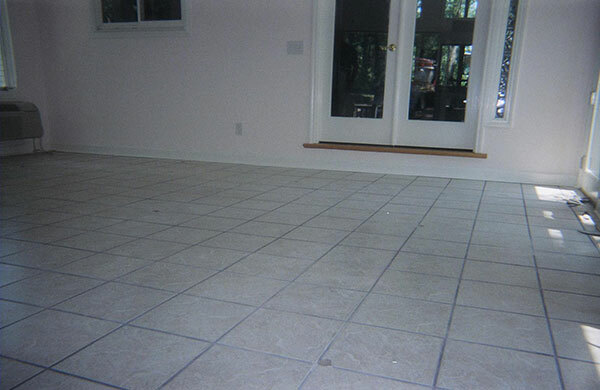 Fortunately, concrete crack repair for your floors is one of our specialties. Mudjacking can eliminate awkward looking repairs and ensures that the end result is a beautiful floor every time. Regardless of whether it’s the concrete floor in your basement, your garage, or anywhere else, you can rely on our team of experts to get the job done quickly–and to get it done the right way. Dealing with structural problems down the line can be avoided with our concrete repair services that address the issue at hand rather than just the symptoms, ensuring that you only have to deal with it once. Whether you’ve been in your home for ages and you’re not going anywhere or you are considering selling your home, the fact remains that curb appeal is vitally important. It’s the first impression that people get of your home. It makes sense then that people who approach your home should see it in a positive light. That means that if your porch or patio has some cracks or is in need of repair, getting it fixed is the way to go. 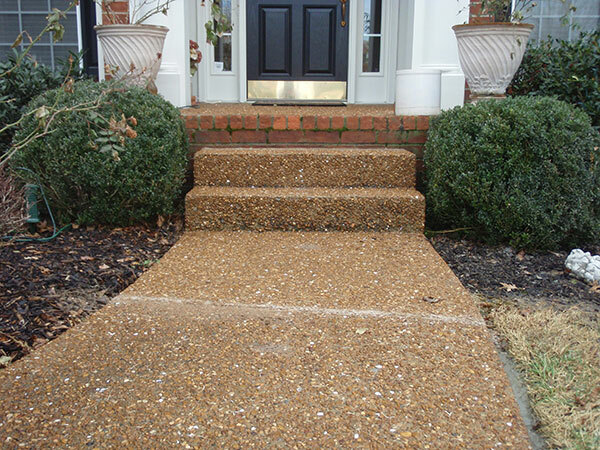 At A-1 Concrete Leveling and Foundation Repair, we can restore your porch or patio to its former glory. Best of all is the fact that we can make it look like new quicker and for much less money than it would cost to replace your porch or patio outright. Having stairs that work the way they are supposed to is vitally important. This is true no matter where the steps are in your home. In addition to being an eyesore, they can also be a big tripping hazard and nobody wants to fall down the stairs whether there are three or thirty. By utilizing a process that is designed to be friendly to your current hardscape and landscape, we can get the issue you’re having with your steps resolved quickly and efficiently. 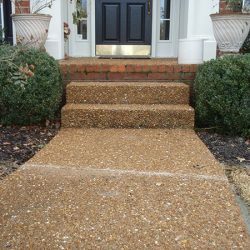 Perhaps best of all is the fact that we can do it for significantly less money than it would cost you to replace your steps outright. That’s a win/win in our book–and probably in your book too! Your pool is where you head at the end of a long day for some quality time spent resting. It’s where you host backyard barbecues where you get your friends, family members, and neighbors together in one place to relax. To put it simply, your pool is your personal oasis, and when it starts to develop cracks, it can put a bit of a damper on your mood. The good news is that if the concrete can be repaired, we can handle the job. 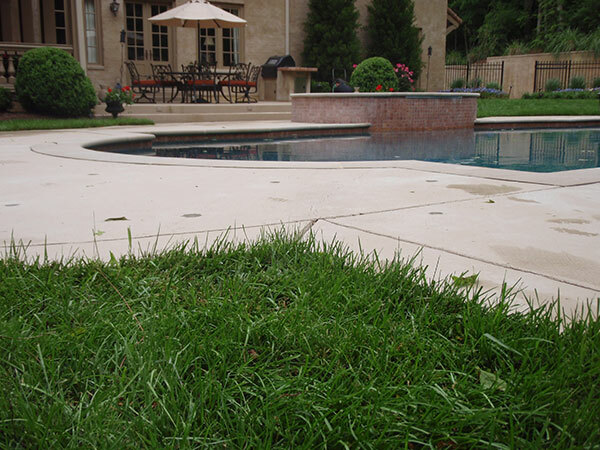 Regardless of the situation at hand, you can count on the team of experts at A-1 Concrete Leveling and Foundation Repair to make certain that the job gets done the right way the first time around–and for much cheaper than it would cost you to tear out your pool and try to rebuild it. You deserve to have a dedicated space for rest and relaxation. We can help! 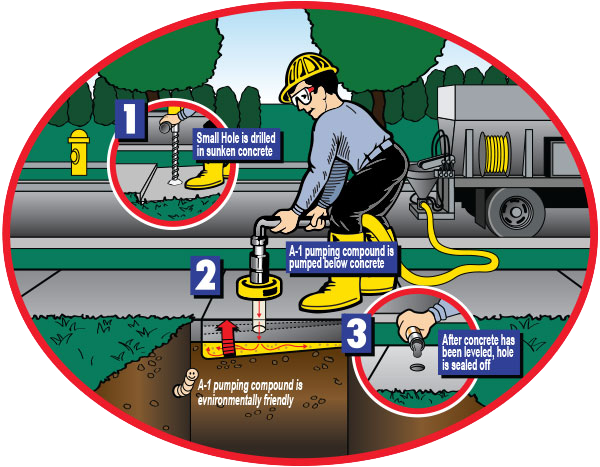 At A-1 Concrete Leveling and Foundation Repair, we are happy to take on any size of job. In short, if you’re in need of our concrete repair services, we’ll find a way to make it happen! You can learn more about us and listen to everything we have to say, but sometimes it’s best to hear directly from the people who have worked with us before. If you’d like to hear what others are saying about our team and the work we do, don’t hesitate to check out our testimonials. 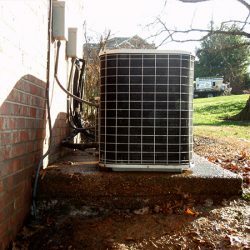 Whether you’re dealing with uneven sidewalks, cracks in the basement walls, or sinking pool decking, we handle concrete repair of all types in the Nashville area. Whether you’re in Franklin, Murfreesboro, Hendersonville, or, of course, Nashville, we’d love to help make your concrete issues a thing of the past. If you’re in need of concrete lifters near you, look no further. Our team of experts is passionate about helping homeowners and business owners in our neck of the woods happier with the way their property looks. No matter what type of work you need done–or the scope of the project at hand–you can rely on us to provide you with high quality customer service and a great experience. The end result will look as good as new and save you money and time in the process. It doesn’t get much better than that. Regardless of the work you need done, you can count on us. Reach out to our team of concrete repair experts today to get a free quote. We look forward to hearing from you!